CT tag that I have made for Patty of Honored Scraps and she surely does have the perfect design name as it was such a true honor to receive the surprise of this amazing scrapkit she made with moi in mind. She is a true treasure to do such a beautiful kit for me and better yet a surprise. This beautiful kit has shades of soft pinks, grays, and white shades to show the splendid beauty and peacefulness of the color pink! 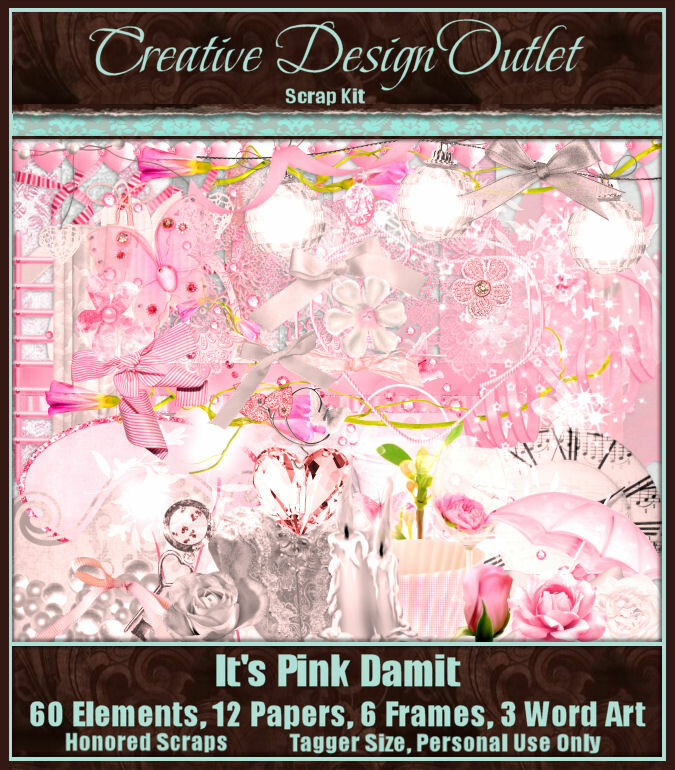 You can purchase this wonderful kit called It's Pink Damit here at CDO. With this kit I used the incredible art of Jennifer Janesko, whose art tubes can be purchased here at CDO as well. You can download this wallpaper in size 1366x768 here or 1920x1080 here.